Every year The Cows select a range of projects that give real meaning to the phrase ‘supporting children with cancer’. Our donation is aligned with the requirements of CHOC as dictated by their business strategy. This year, The Cows have selected a range of worthy projects for your donations to be used in a meaningful way. CHOC House Saxonwold provides accommodation for children receiving out-patient treatment at Charlotte Maxeke Johannesburg Academic Hospital. CHOC House Diepkloof assist patients at the Baragwanath paediatric oncology wards. Without these homes away from home, many patients opt to abandon treatment because of the great distances they need to travel. The houses are an essential part of the CHOC programme and The Cows assist with the operating costs for both these houses in Gauteng. The CHOC lodge, situated on the grounds of the Albert Luthuli Hospital in Durban, has 26 beds that provide daily accommodation for children and their caregivers, whilst they undergo their treatment. The Cows assist with the costs of running the Lodge by sponsoring four rooms. 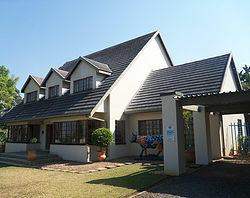 CHOC also has a house in Pietermaritzburg where the Cows sponsor three rooms. 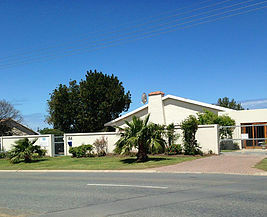 CHOC House has new premises in Cape Town and a new building is required to house their Regional Office. The Cows are funding this new building. The Cows assist with the operating costs in both the East London houses and the Port Elizabeth office. The Cows assist with the operating costs of the Bloemfontein house. Psychosocial support is imperative to the families and children affected by childhood cancer. CHOC currently employs social workers who assist with emotional support to the children and their families, as well as providing information to parents and families, educational liaison and bereavement support. This year, The Cows are funding 6 social workers.